"My professor shared a PowerPoint files with us on his lecture, and I think the presentation is good for my study, so I copied that PowerPoint files to my laptop. 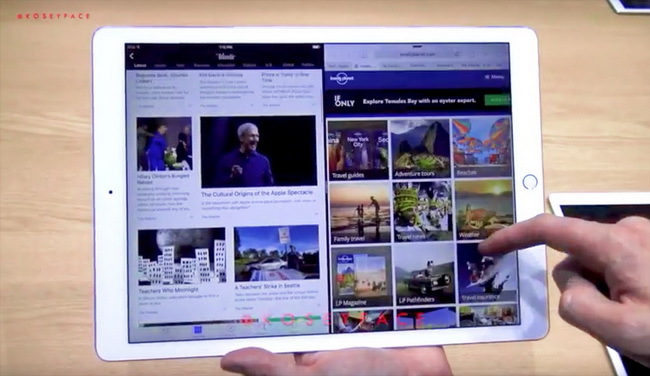 I want to know whether I can view PowerPoint on iPad Air 2. You suggestions will be appreciated, thanks." "Can’t view Powerpoint on iPad or 5s iPhone since IOS 7. Word and Excel files are okay. Can anyone help?" "How can I view powerpoint, word, office, etc on my ipad ? any app for that ?" iPad users are able to open and view PowerPoint presentation on iPad Air 2 easily if they have installed Keynote on the tablet. The program is specially designed for iOS and Mac users, and it is a part of iWork suites. There is no doubt that using Keynote is the fastest way to open PowerPoint on iPad. In App Store, users are able to find many PowerPoint apps for iPad that allow viewing PowerPoint on iPad Air 2 and other iPad models. What’s more, many of these so-called PowerPoint viewer for iPad are free. If you’re looking for a solution on how to open PowerPoint on iPad Air 2 and other iPad models, this guide is right where you should stop. It introduces you how to view PowerPoint on iPad in several different ways. The easiest way to view PowerPoint on iPad is without doubt to make use of PowerPoint viewer for iPad. Generally speaking, most of these iPad PowerPoint viewer apps would allow you to create, edit, open and view PowerPoint on iPad. 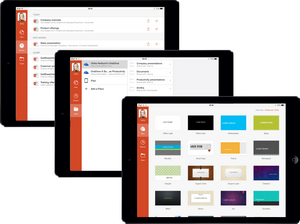 You could get free iPad PowerPoint viewers and paid ones as well. Here we have collected 5 best PowerPoint viewer apps for iPad users to freely create, edit and open PowerPoint presentations on iPad. Keynote is Apple’s take on presentations and is one of the most feature complete you’re going to find. There are tons of templates to choose from and almost everything is customizable exactly to your looking. Did we mentions it’s also extremely easy to use? Keynote also syncs with iCloud which means any other iPhone, iPad, or Mac with Keynote installed can instantly access your presentations. SlideShark is the award-winning app used by sales professionals and other presenters worldwide to present and share PowerPoints® from the iPad, iPhone, and iPod Touch the way they were meant to be seen—accurately and professionally every time. 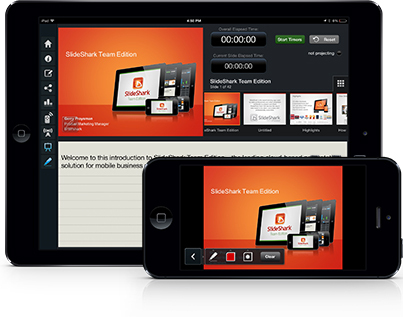 For businesses SlideShark is a powerful, proven sales presentation solution built by Brainshark. 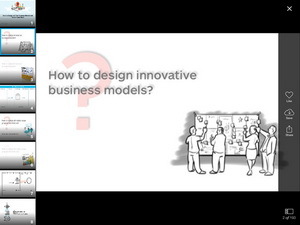 Boost your knowledge anytime, anywhere with the official LinkedIn SlideShare app. Explore over 15 million presentations, videos and infographics in stunning, full-screen layout – new for iOS 8. No time to read now? Save favorites to read later – even offline! LinkedIn SlideShare is the world’s largest community for sharing presentations and professional content, with 60 million unique visitors a month and more than 15 million uploads. 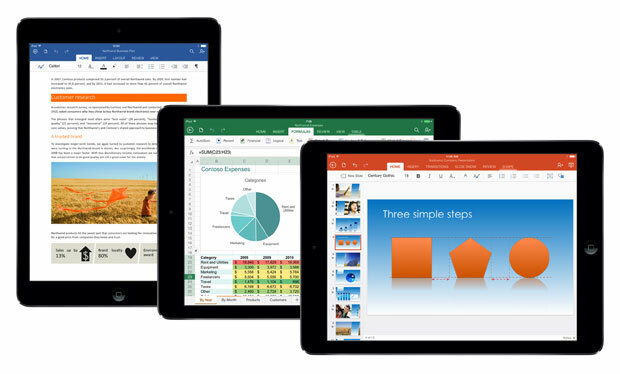 The newly released Office for iPad apps are nothing to scoff at. PowerPoint on the iPad is not only full featured but a joy to use. Everything you’ve been accustomed to in either the desktop version of Office or the online version is at your fingertips. You can easily share your presentations or store them in Microsoft’s OneDrive service. It’s a free iPad PowerPoint viewer, but requires subscription to Office 365 to edit documents. All the cool kids are using it, so isn’t it time you started too? 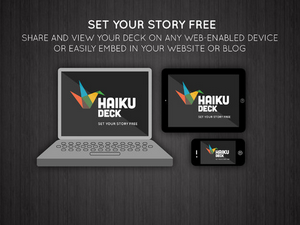 Haiku Deck emphasizes minimalism. It forbids you from overloading the audience with too much information by limiting the amount of text you can add to one slide. This is great for students who may be prone to reading you their presentation, as opposed to delivering you a presentation. There is a built-in library of creative commons images that can be used for creating your slideshow, but be careful what you search for, because these images are not filtered for the classroom. However, it is hard not to impress when using Haiku Deck. The app is free, as are your first five themes, and others can be bought via in-app purchases. These 5 best iPad PowerPoint viewer apps would help you easily open and view PowerPoint on iPad tablets. You could pick any one according to your personal needs. If you only need to view PowerPoint presentation on iPad tablets, another practical solution is to convert PowerPoint to iPad video, and then you could play PowerPoint video on iPad easily. 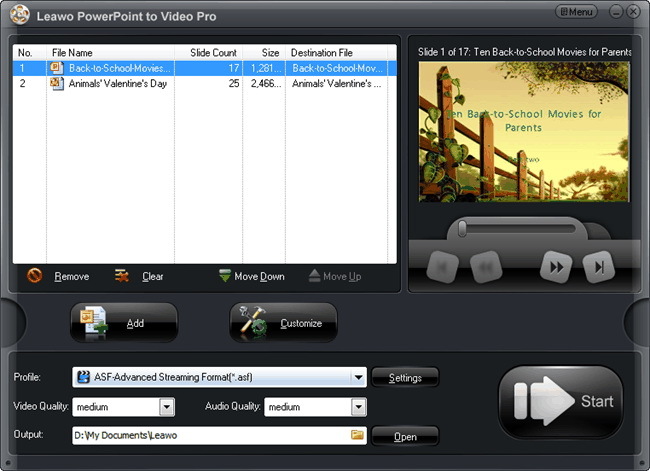 You could convert PowerPoint to MP4 or MOV video for iPad with the help of some 3rd-party PowerPoint to video converter software. 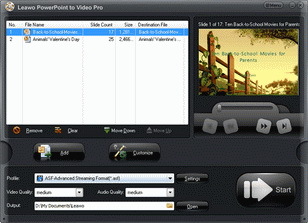 Leawo PowerPoint to Video Pro is highly recommended for converting PowerPoint to iPad video. This program enables users to convert PowerPoint to more than 150 kinds of video files, and provides specific categories for popular mobile devices such as iPhone, iPad, PS4, etc. The following guidance will show you how to play PowerPoint on iPad Air 2, and you are allowed to free download this program to have a try. Note that the trial version will add watermark in the converted video. 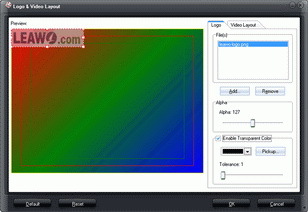 Run Leawo PowerPoint to Video Converter Pro on your computer, and you will see the main interface of this program. Click the "Add" button to add PowerPoint presentations into the PowerPoint converter. The presentations will be shown in the preview screen. Click "Profile" to choose a format as the output for the converted video. Since you need to open PowerPoint presentation on iPad tablet, you need to select MP4 or MOV from "Common Video" group, or directly select your iPad model from "iPad" group. 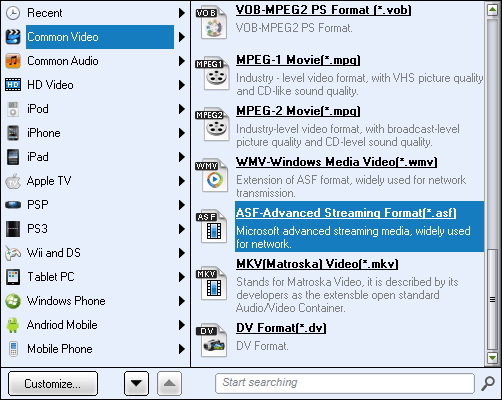 Then click "Output" box on the main interface to choose a folder on your computer to save the converted video. 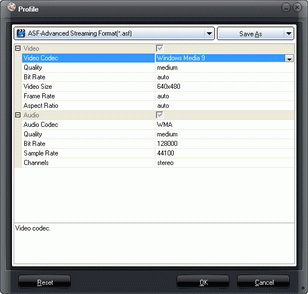 Click the "Settings" button to adjust video codec, bit rate, video size, aspect ratio, frame rate, audio codec, channel, etc. according to your iPad model. 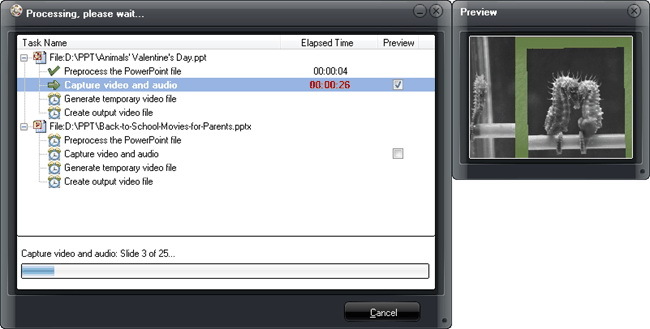 You are also allowed to edit PowerPoint files by clicking "Customize" button on the main interface. You could set PPT transition time, add PPT background music, adjust audio effect, change aspect ratio, apply watermark, etc. When all these settings are finished, you can click the "Convert" button at the right bottom to start converting PowerPoint to iPad video file. When the conversion is finished, what you need to do to view PowerPoint on iPad is transfer PowerPoint to iPad tablet. For detailed information on how to tranfer PowerPoint to iPad, please read the below part. Connect your iPad to your computer and open iTunes on your computer. After a moment, your iPad appears listed under Devices on the left side of the iTunes window. In iTunes, select the name of your iPad, and then click Apps. Scroll to the bottom of the Apps window, and then select Keynote in the Apps list under File Sharing. Click Add, and then locate the presentation you want to import in the "Choose a File: iTunes" window that appears. Select the file, and then click Choose. Open Keynote on your iPad. In My Presentations view, tap Import button, and then tap "Copy from iTunes." Tap the name of the presentation you want to import in the list. The presentation opens.